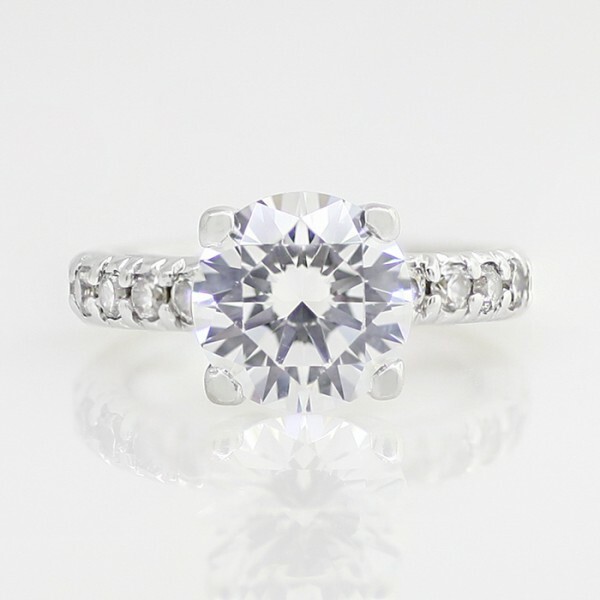 Gwyneth with 2.04 carat Round Brilliant Center - Palladium - Ring Size 5.0-8.0 was added to your cart. The ring is absolutely beautiful. I received as an engagement ring and no one has asked me about the price or if it is "real". The diamonds tend to need to be cleaned more often than other "real" diamonds that I have had. 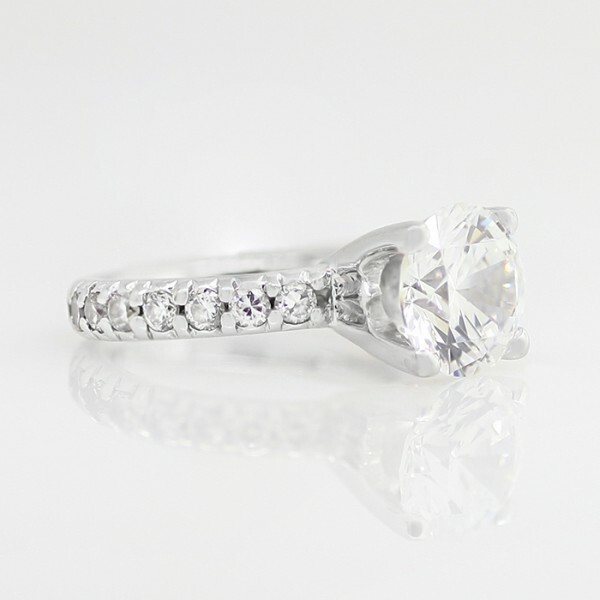 I wear everyday and even to bed and no diamonds have fallen out. I do wish the wedding band that matches was a bit lower in price. I I love the ring. I compared it to my other "real" diamond and it looks the same. The only difference is that this one is bigger and more clear.